June is here! That means the smell of backyard BBQ is in the air. 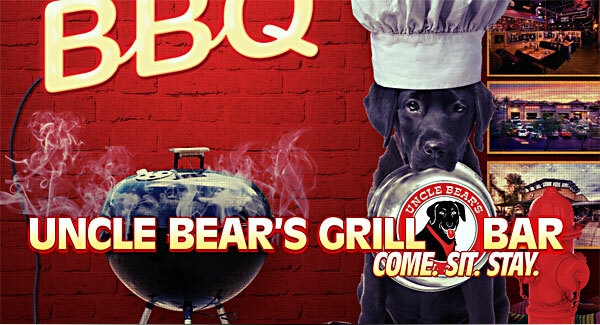 Uncle Bear's Top Dog Chef has created a special summertime menu just for you. This menu features summertime drinks, salads, entrees and desserts that will be available for the month of June, so come on in and celebrate summer with us! Join all of your friends and family on our dog-friendly patio... and don't forget DOGS eat FREE every Saturday. Uncle Bear's has the MLB Extra Innings package so you can watch and cheer on your favorite team at any of our 4 valley-wide locations. 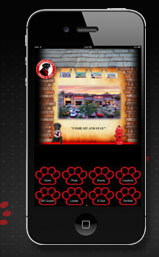 See you soon for a "Doggone Good" time!